homeBLOGIs there really an active volcano in Snæfellsnes national park? Is there really an active volcano in Snæfellsnes national park? As you can clearly see on our Snæfellsnes day tours and private tours, the Snæfellsnes peninsula has seen its fair share of volcano eruptions. Yes, there is. Actually, there’s two of them. As you can clearly see on our Snæfellsnes day tours and private tours, the Snæfellsnes peninsula has seen its fair share of volcano eruptions. 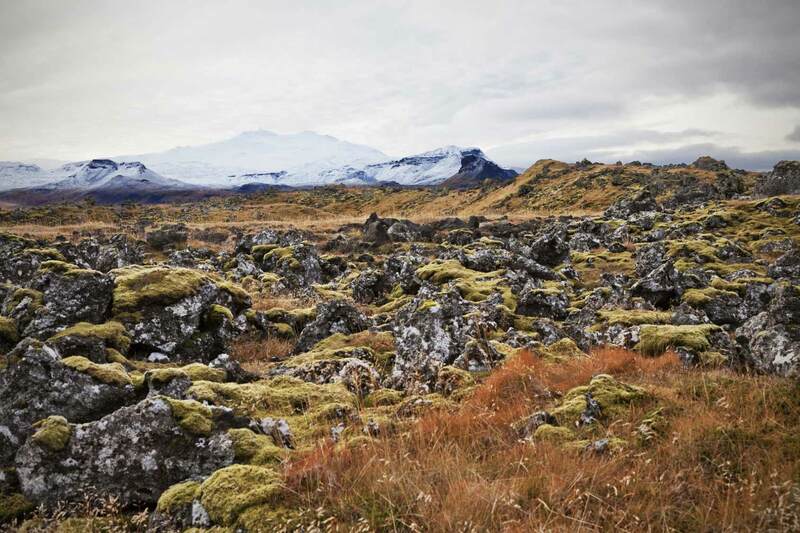 The peninsula is covered with beautiful, moss covered lava fields and craters! The beautiful Snæfellsjökull glacier sits on top of Mount Snæfell, a stratovolcano on the furthest edge of the peninsula. On clear days, it’s visible from Reykjavík. 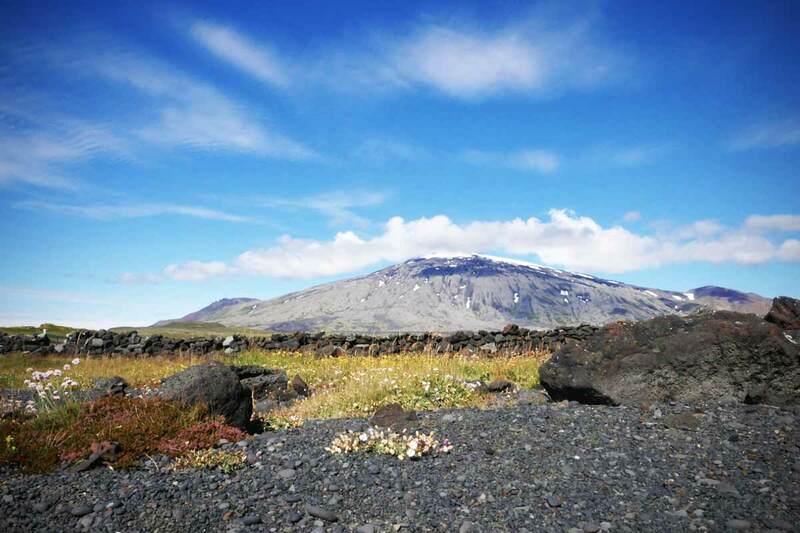 The last eruption in Mount Snæfell took place in 200 A.D, give or take 150 years. Geologically speaking, a volcano is considered active if it’s been less than 10.000 years since its last eruption. So, that makes Snæfellsjökull an active volcano. What are the odds of Snæfellsjökull erupting? In the words of one of Iceland’s leading geologist, Páll Einarsson, the odds of Snæfellsjökull erupting are 100%. It will erupt. What he can’t tell us is when. The volcano has been quiet since Iceland was settled and shows no signs of erupting anytime soon. There’s no cause for concern, because scientists keep a close eye on all earthquake activity in Iceland. Also the Snæfellsjökull volcano would make a lot of noise before erupting, so everyone will be prepared for it well in advance. There hasn’t been a single earthquake there since scientists started measuring them. So, any changes in the area will gather a lot of attention. The other active volcano on the Snæfellsnes peninsula is a mountain range that spans 90 kilometers and is 10-20 kilometers wide! It’s called Ljósufjöll. It’s the source of lava fields such as Bersekjahraun and craters such as Grábrók in Borgarfjörður. The last eruption in Ljósufjöll was about 1000 years ago. This was after Iceland was settled, and the eruption sadly caused the death of around 80 people. Like with mount Snæfell, there’s no way of telling when Ljósufjöll will erupt next, but it’s been quiet for hundreds of years.